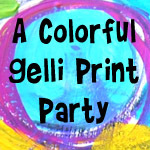 It’s the first of the month and that means Gelli® printing fun with the Colorful Gelli® Print Party! I’m taking Dyluions Paints and various texture making tools to turn a white box into a colorful box…you know how I am about white space. 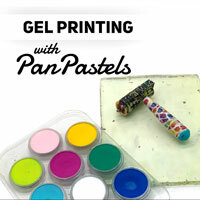 In the video, you’ll see how I play around and create textures and patterns on the round Gelli Plate®. 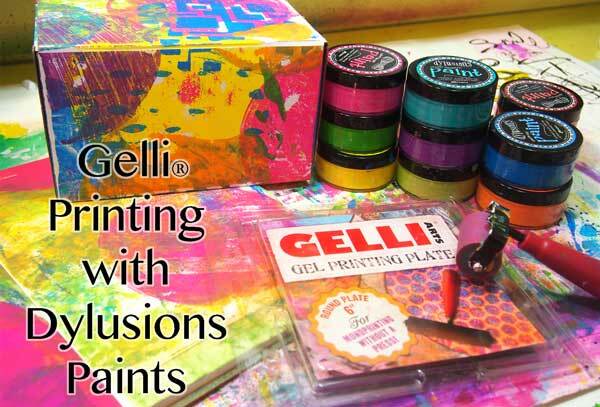 Watch Gelli Printing with Dylusions Paints on YouTube. I use a twisty texture tool and you can see how to make one of your own in this video. That hotel shampoo bottle isn’t the only hotel toiletry I’ve used on a Gelli® Plate. You can see what I did in this video. 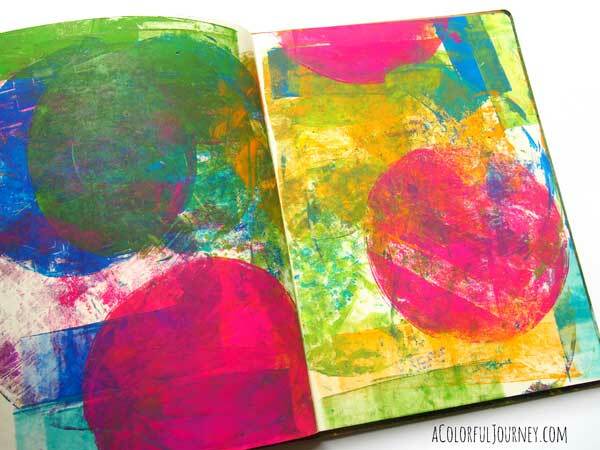 Here’s the art journal page page I made while cleaning off the plate between prints. Can’t wait to play around and see what these pages become. I’ll definitely share what they become. 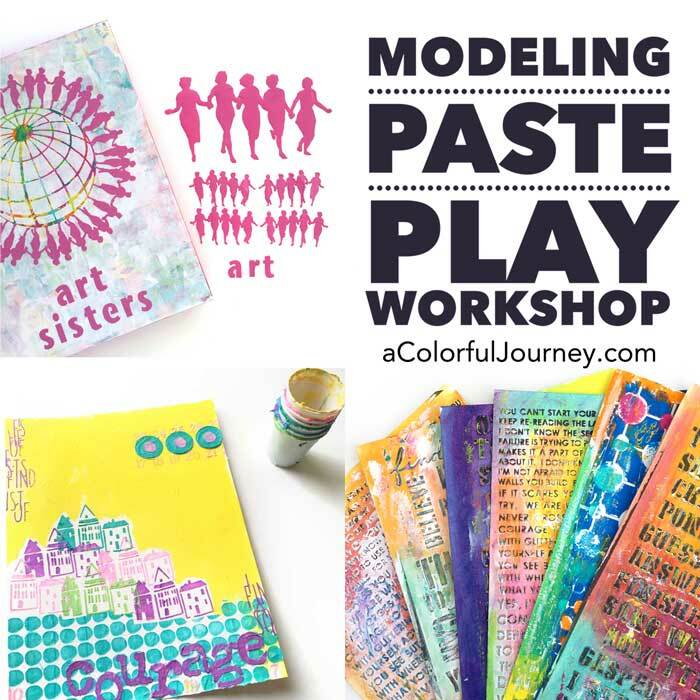 I’ll be teaching at the Arts Alliance September 12, 2015 in Mason, OH. Find all the details and information here. Too bad I have a million other things to do! Now I want to play! 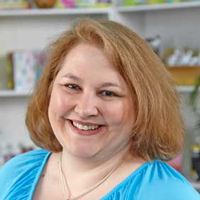 As ALWAYS, another FUN video by Carolyn Dube!! 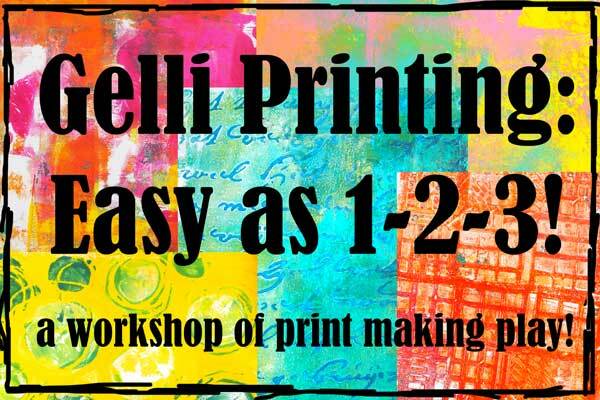 Gelli FUN!!! You are the master! I wonder which size (“) is the ROLLER BRAYER / SOFT RUBBER? 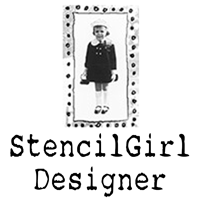 I would love to be added to your emailing list please. I love the videos I have seen. You inspire me.